250 years of an uninterrupted family passion! Pierre Marque, my grandfather told me it all started in 1764: at this date, Pierre Moreau, one of my ancestors, founds the Moreau cooperage in Cognac - one of the most famous cooperages in the world - who now belongs to the Cognac Remy Martin. His descendants, Jean (1797), Richard (1827), Frederic (1855) and Jean (1887) manage in turn this family business. 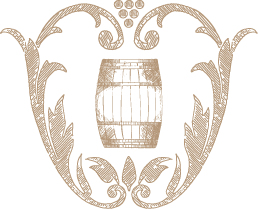 G.Pepin, another of my ancestors founded in 1811 the only French company specialized in the treatment and the packaging of wine and while exporting all over the world, Pepin-Gasquet employed up to 420 people in Bordeaux. My great uncle, Jean Bacqué, manages for years this business, exporting filters, wine-presses and other equipment all over the world. At the time, Pepin Gasquet’s company also owns Château Ségur, a well-known chateau in the Medoc area. Andrée Moreau, my great-grand mother, marries in 1913Abel Albert who takes over from his father François who founded a wine-trade company in Angouleme near Bordeaux in 1880. In 1929, Abel recruits Pierre Marque, my grand-father, as his sales-representative, though he travels constantly he finds time to fall madly in love with ABEL’s only daughter Jacqueline whom he marries in 1937 at the age of 26 when she is only 17! Pierre manages this business until 1974 when my father Philippe Marque takes over the company’s management. As early as1941, Abel satisfied with the way Pierre’s management skills asks him to run another family business Château Puyfromage which he owns together with Pierre Taittinger, founder since1932 of the very well-known champagne Taittinger and then mayor of Paris. This 45 hectares Bordeaux estate is now run by my uncle Frederic Marque who took over after my father Philippe had run it and developed it for over 35 years. • 250 YEARS OF AN UNINTERRUPTED FAMILY PASSION!